Have you always dreamed of owning your own business? It may be easier than you think. The following are six self-employed business ideas that just about anyone can start up. A cleaning service can be started tomorrow – all you need is your first client and some tools. Start out by offering just the basic services. As you learn more about cleaning and what your clients want, you may be able to get the proper equipment and know-how for more deep-cleaning options. While you probably think of cleaning services as something that individual homeowners use, don’t limit yourself to this client base. Office spaces, restaurants and other businesses all need cleaning services, and getting these clients can often lead to more reliable, regular work. Either way, this is a line of work where customers really need to feel comfortable with you, so be reliable and trustworthy if you want to succeed. Pet owners need someone to care for their beloved animals from time to time. Some even need someone on a daily basis, particularly if their dog needs to be let out while they’re at work. A pet care service is easy to start once you find a few clients. You can offer dog-walking, cat sitting, pet feedings and other services that pet owners need. This is a job where you’ll need to be available nights, weekends and holidays, so keep that in mind before you get started. If you’re an animal lover, however, it’s a great job you’ll be happy to have. Are you a good writer? Do you always pick up on grammatical and spelling errors? If so, you could offer editorial services as your self-starter business. From proofreading to copyediting to ghostwriting, there are numerous types of editorial jobs available online today. Though work can be low-paying at the start, it quickly grows once you’ve proven your skills. This is a job that’s easy to do from the comfort of your own home, so you’ll also save on office attire and commuting costs. Even if you don’t have a lot of experience painting, a few online tutorials or free local classes at a home improvement are enough to get you started with this type of business. Painters should know a bit about paint varieties, so make sure to educate yourself before you get started. Once you have some satisfied customers, you’ll be able to get more clients easily while also increasing your rates. Learn about more painting styles and techniques to increase your skills and make your business more attractive to potential clients. 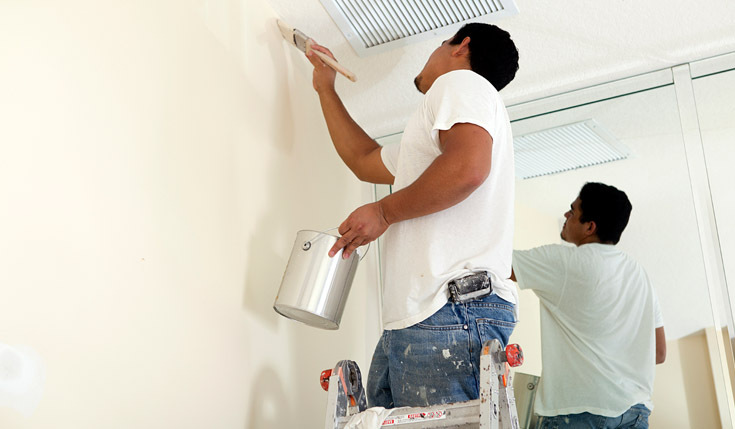 Many painters end up hiring help in order to increase their earnings. If you’re the organized type, you might want to consider starting your own event planning business. From corporate functions to theatrical performances to weddings, many events require someone to make sure everything runs smoothly. Customer satisfaction is incredibly important with this job, so make sure you’re willing to put in a lot of effort to make your clients happy. Once you have some contacts with certain vendors and venues, you may find that it’s easy to find new clients for your self-starter business in event planning. Another great option for a type-A personality is a household organizer. If you’ve already organized your own home, you can use photos and physical examples as a portfolio for your clients. You’ll provide ideas and create an organizing plan for the individual or family you’re working with. From there, you may need to personally shop for useful products and do the organizing of household items, paperwork, etc. Having a good design instinct for what looks good while also functioning efficiently is helpful for this venture. Start as a side business so that you can save up the money you need to go full-time. Make sure you account for any equipment you’ll need. For example, cleaning services need cleaning solutions, mops, brooms, sponges, etc. Get a professional-looking website and business cards. Other types of advertising are largely optional, but these two steps should be considered a must. Make word-of-mouth your main form of advertising. This is often the best way for small enterprises to grow. A great way to encourage word-of-mouth advertising is to offer a referral discount to current clients. Consider offering free consultation where you can sell clients on why they should hire you. This can be a great option for businesses like event planning and household organization services. Take the time to learn how to do your taxes correctly. It’s worth seeing a professional accountant since doing your taxes as a self-employed individual or a small business owner is much different than that of a typical employee. Look up local regulations for business licenses. Depending on where you live and which type of business you start, you may need to apply for a license in your city. Consider becoming insured if you’ll be working in people’s homes or with their pets or other belongings. Consider these ideas if you’re ready to be your own boss. While it takes a lot of effort and commitment, the payoff will be worth it if you can turn one of these ideas into a successful business.